Uniquely designed polished gemstones with star design engraving. 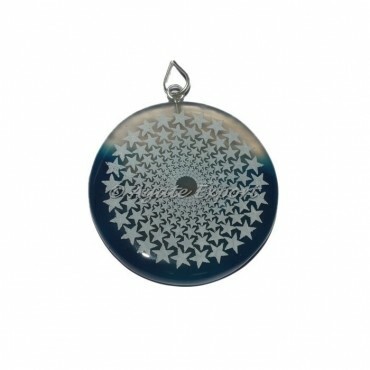 This pendant features an artistic star design to go with any outfit or occasion. To get this pendant engraved with logo and design of your choice contact us directly.